Last month, Maneka Gandhi said about 14 lakh fake names of children were found registered in anganwadis of Assam. 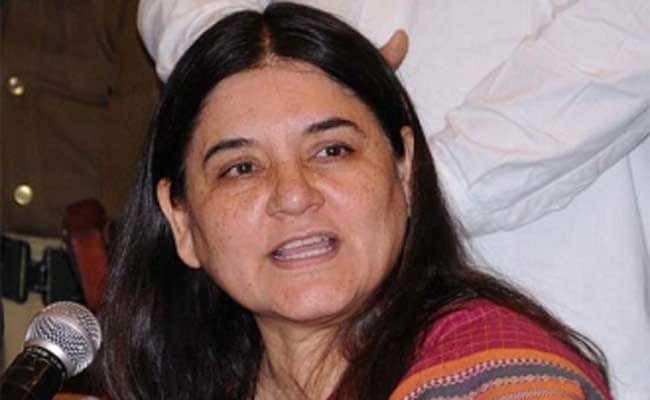 About one crore fake beneficiaries have been found registered in anganwadis across India and their names have been removed from the list, Women and Child Development Minister Maneka Gandhi said Tuesday. Ms Gandhi said the identification and elimination of fake beneficiaries is an "ongoing process", and until now officials have found and eliminated nearly one crore fake beneficiaries. Last month, Ms Gandhi said about 14 lakh fake names of children were found registered in anganwadis of Assam. Following the revelation of 14 lakh fake names in Assam, Ms Gandhi ordered all state governments to verify the number of children "really need to be fed". Ms Gandhi thanked Prime Minister Narendra Modi "for leading the Poshan Abhiyan from the front" after he Tuesday announced an increase in honorarium for anganwadi workers, to be effective from October. According to PM Modi's announcement, anganwadi workers will be given Rs. 4,500 per month instead of Rs 3,000, mini anganwadi workers will be given Rs 3,500 per month instead of Rs. 2,250 and anganwadi helpers will be given Rs. 2,250 per month instead of Rs. 1,500. Ms Gandhi said the increase in honorarium for anganwadi workers "will boost their morale and help improve the delivery of services".